The new V2 has an improvement with the internal steam pipe in the boiler having an extra welding to hold it in place. In older models, this pipe would sometimes break off. 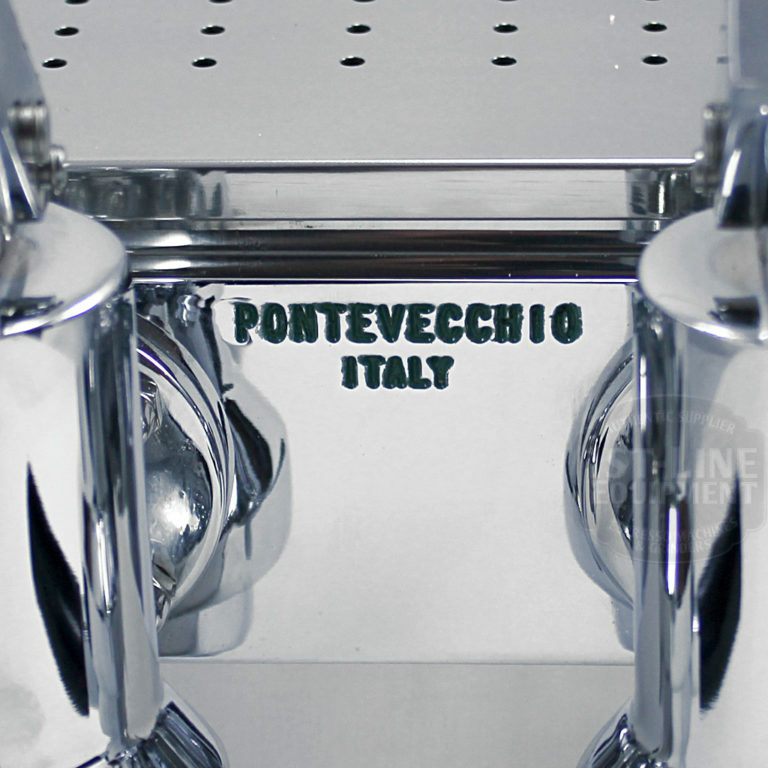 Stainless steel body panels polished to a mirror finish. Stainless steel / brass piston. 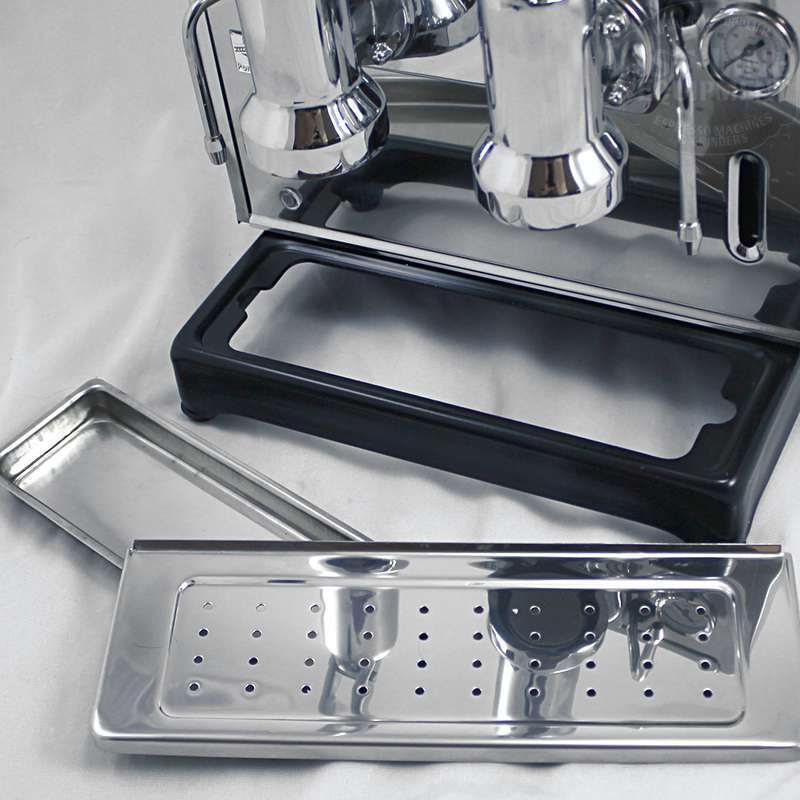 Removable drip tray & cup warming tray. 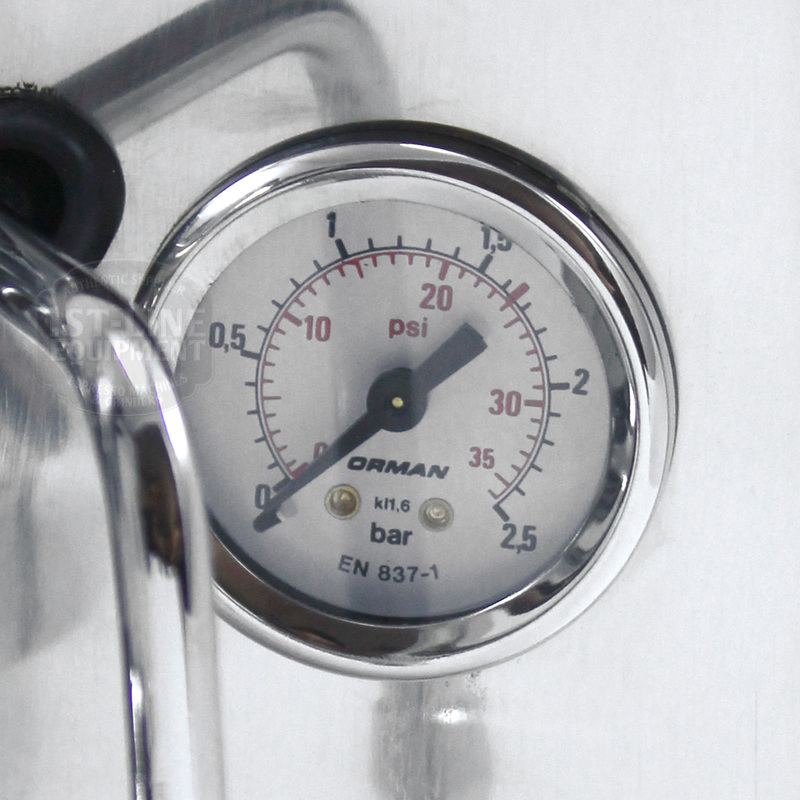 Gauge measures steam boiler pressure (0 – 2.5 bar) located on the right. Visual control of water level located underneath the gauge. Keep an eye on this control when filling the boiler. 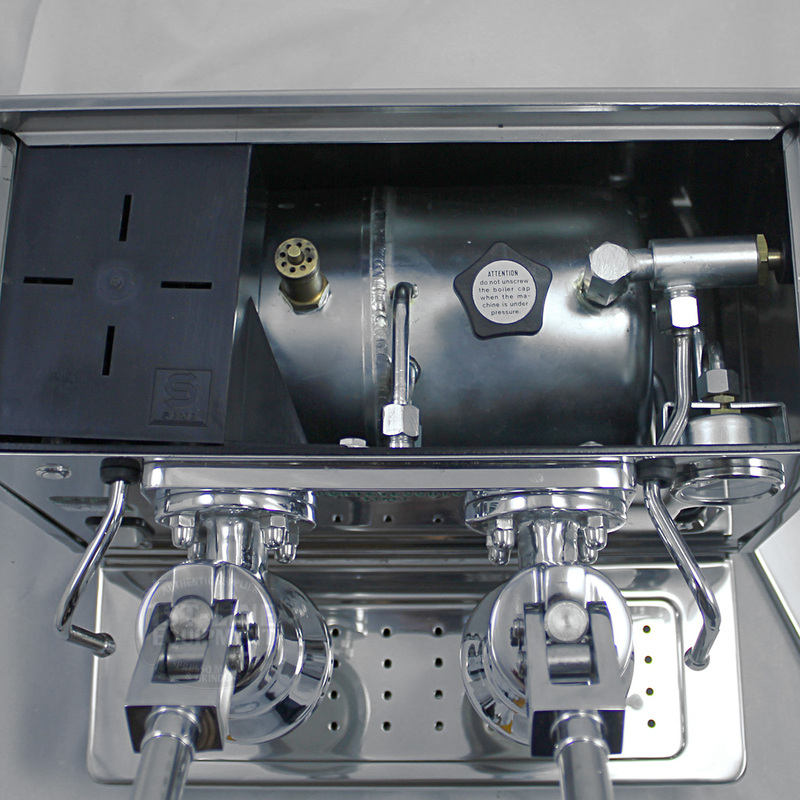 Fixed-position 3-hole steam wand located on the left and fixed-position hot water wand located on the right. 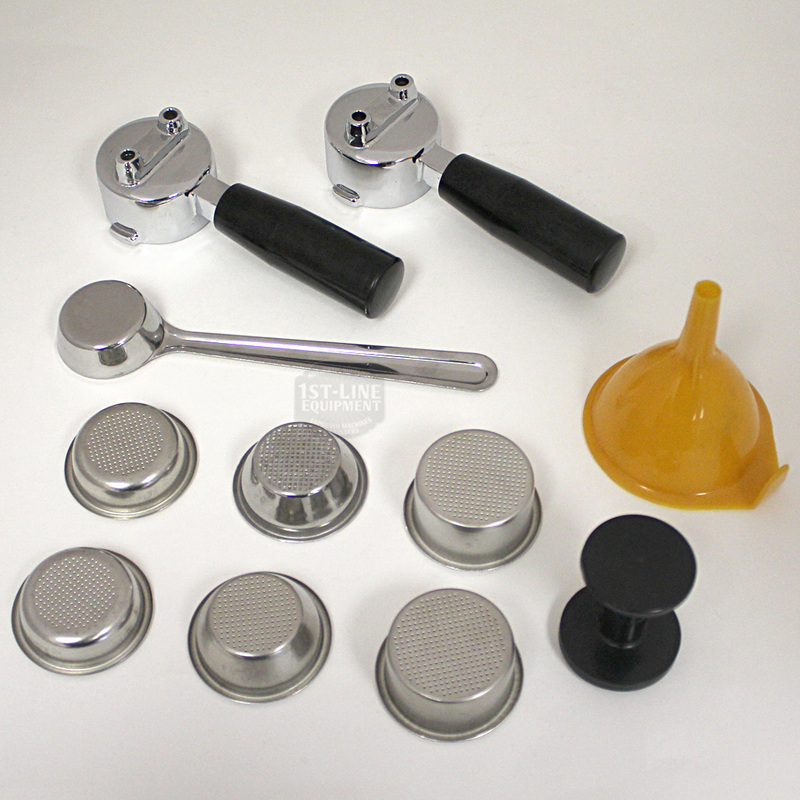 Both are activated by rotational knobs on the left and right side of machine. Turn counter-clockwise to activate; counter-clockwise to deactivate. Indicator lights on the left side of machine. The upper left light is the heating light. 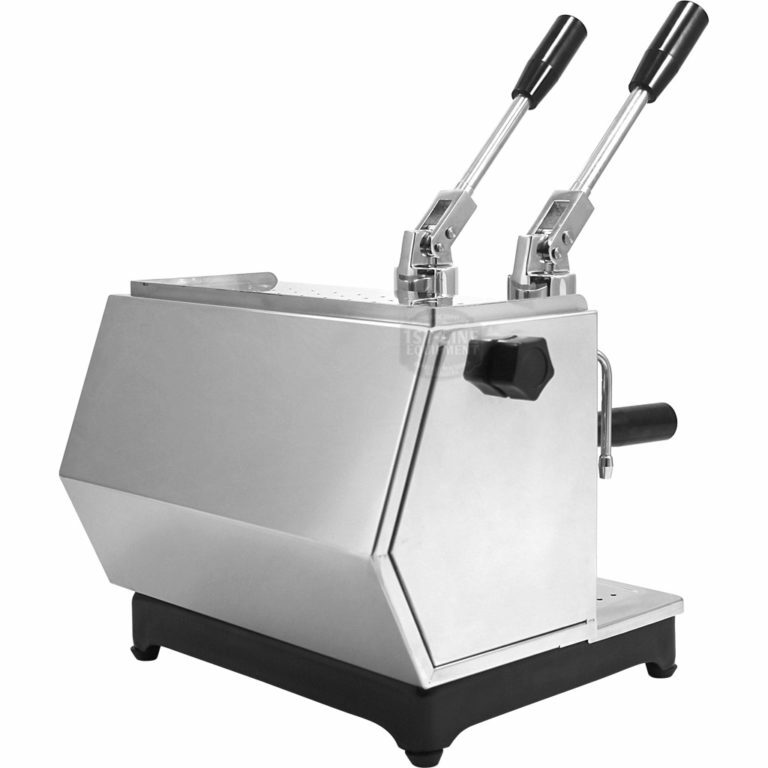 It is on when the machine is heating up; off when the machine is ready to use. The lower left light is the water light. 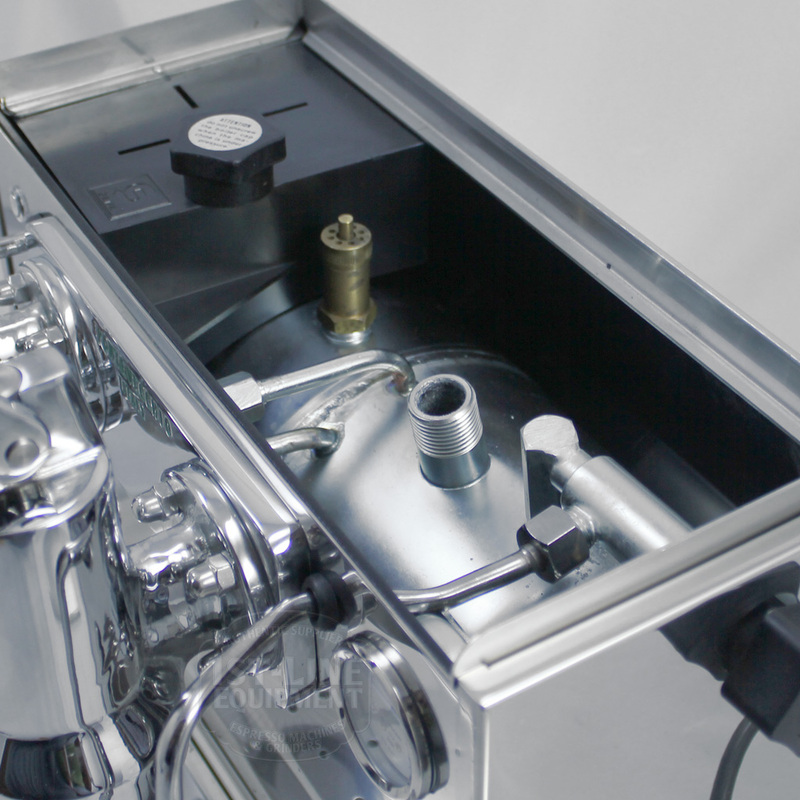 It is on when the water in the boiler is too low; off when the water in the boiler is at optimal level. 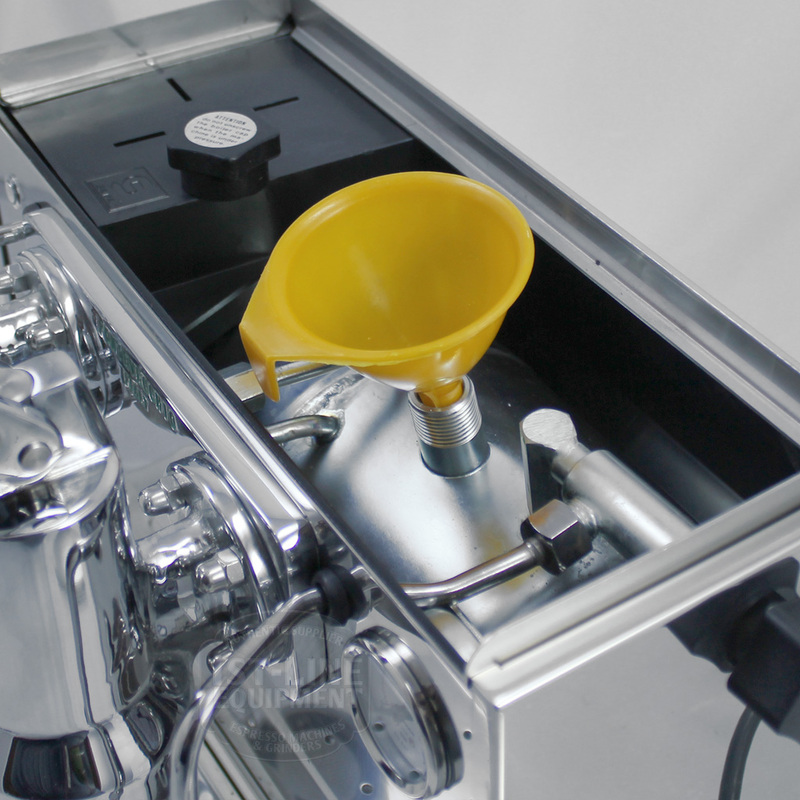 Grouphead and portafilter made from a chrome-plated brass casting: unit preheated by forced circulation of hot water from boiler, always ready for use at optimum operating temperature. 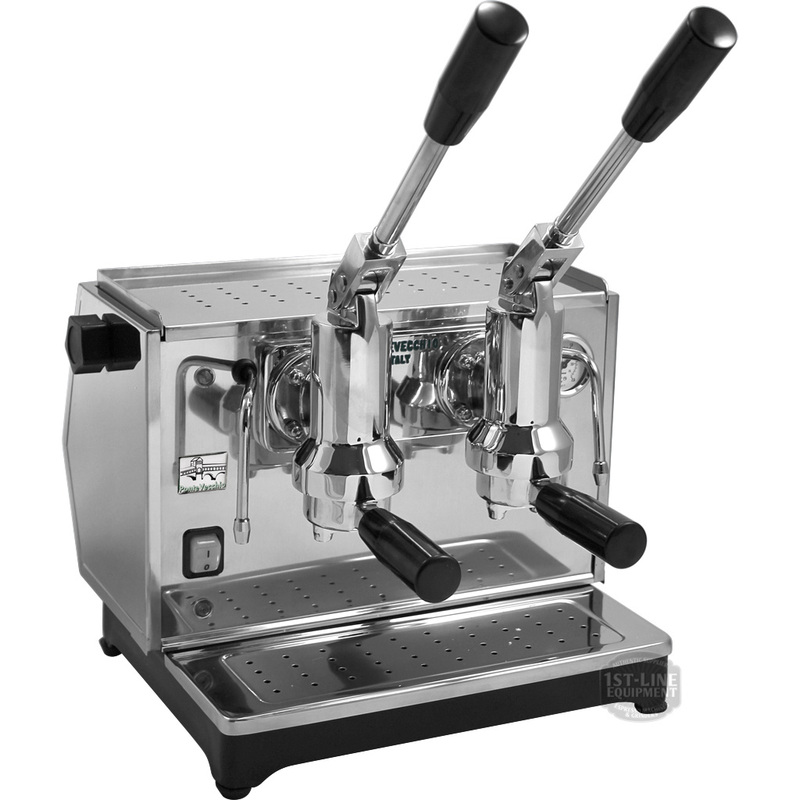 Accessories included: (2) Dual spout portafilter, (2) non-E.S.E. pod filter basket, (2) 1-cup filter basket, (2) 2-cup filter basket, plastic coffee tamper, metal scoop, plastic funnel, instruction manual.